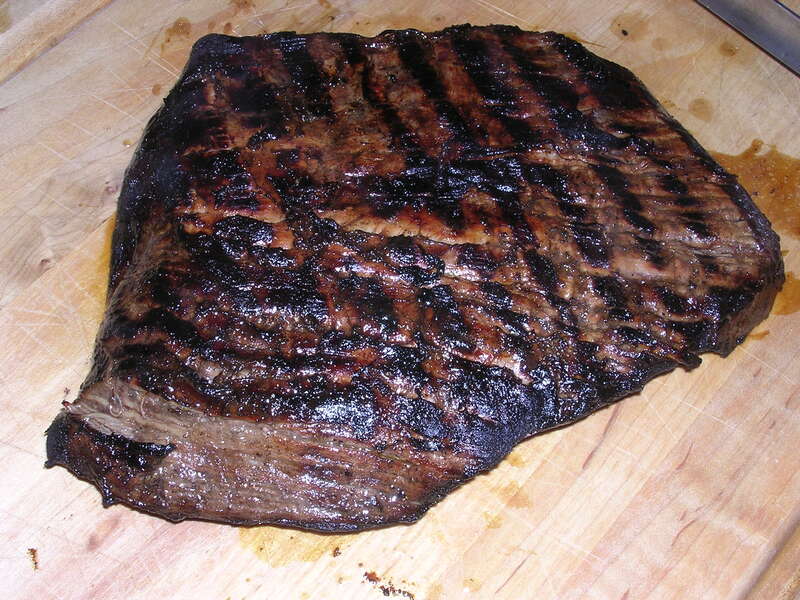 Note: This is a super easy and flavorful way to marinate a flank steak. If you want, you could include a pinch of any of following herbs/spices to the steak marinade: cayenne, chili powder, garlic salt, cumin, red pepper flakes, curry powder, ground mustard, coriander, paprika, thyme, herbs de provence or oregano. This is optional though - it still tastes great without them! Place steak in a large baking dish. Add garlic cloves, balsamic, oil, salt and pepper. Coat steak well on both sides. Cover and marinate in the refrigerator for a minimum of 3 hours (up to 24 hours), turning and re-coating ocassionaly in its dish. Heat grill to medium-high. Grill steak for 6-10 minutes per side. Transfer to a plate, cover with aluminum foil and let rest for 10 minutes. Slice against the grain and serve.